The Marvel credits under “Cover Information” list Mike Choi as “penciller” and name Sonia Oback under “other”; Comics.org has her as the colorist for this artwork. X-23 is missing, and as horrific as her life has been…it’s about to get worse. Elixir knows the truth about the mutant messiah. And Wolverine confronts Cyclops about his decisions leading up to the War. This post is a reblog with added provenance from a 21 November 2013 post at Infernal Wonders. Its original source was this post at the tumblr Suspect Unknown. No Internet Archive backup link for that tumblr post exists and, post-2017, none can be made, because Tumblr censorship in the form of an exclusionary robots.txt file prevents its inclusion in the Archive. 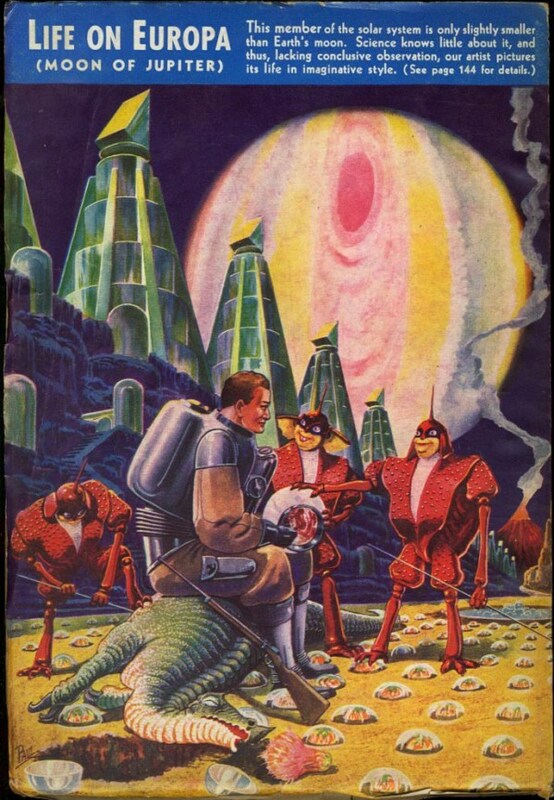 The included text there is something to behold: “Life on Europa (moon of Jupiter). This member of the solar system is only slightly smaller than Earth’s moon. Science knows little about it, and thus, lacking conclusive observation, our artist pictures its life in imaginative style (see page 144 for details).” Sure, why not? You can read and download the entire issue at the Internet Archive. Pulp Parade #270: Tube girl hot damn! This is Amazing Stories for January 1942, cover by Malcolm Smith. The ISFDB entry for this issue is here. 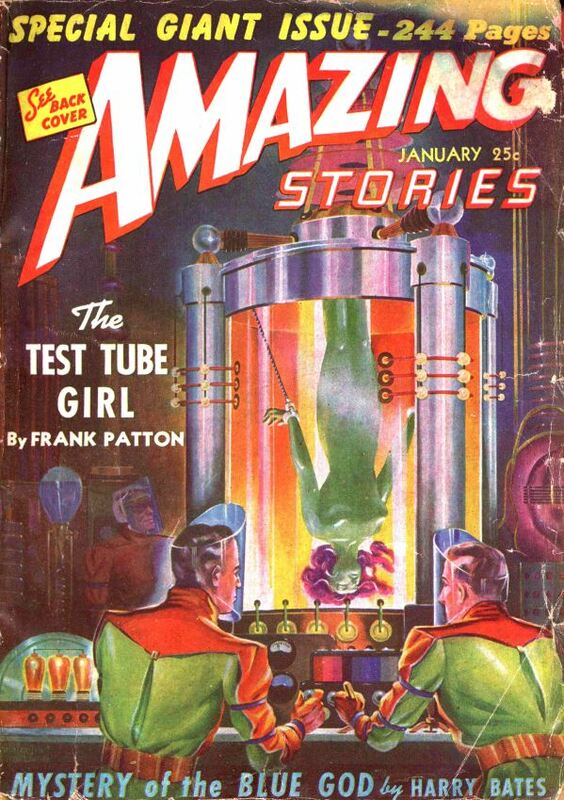 While far from the first instance of the artistic trope of a “tube girl,” I do think it might have been this particular illustration that motivated the proprietor of of the (apparently) now-defunct blog Promethean Blues to coin the term “tube girl,” whence I have taken it. 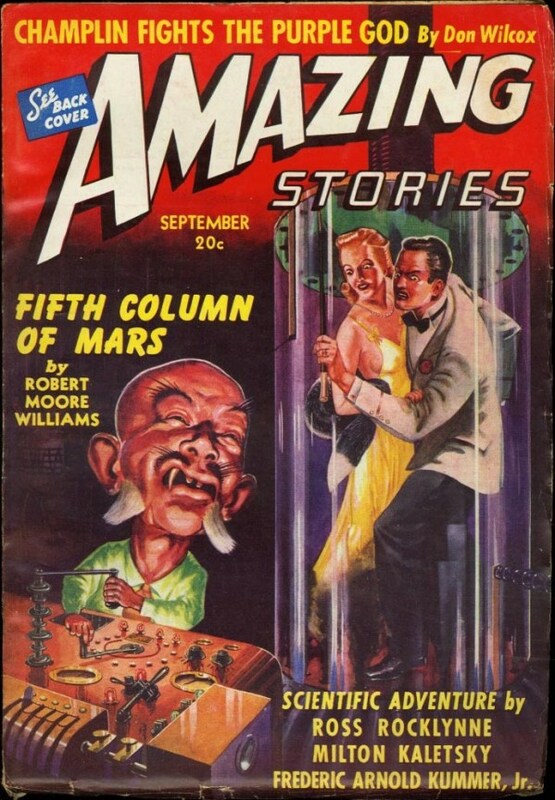 I found this version of the cover at Pulp Covers. You can download and read this entire issue from the Internet Archive.